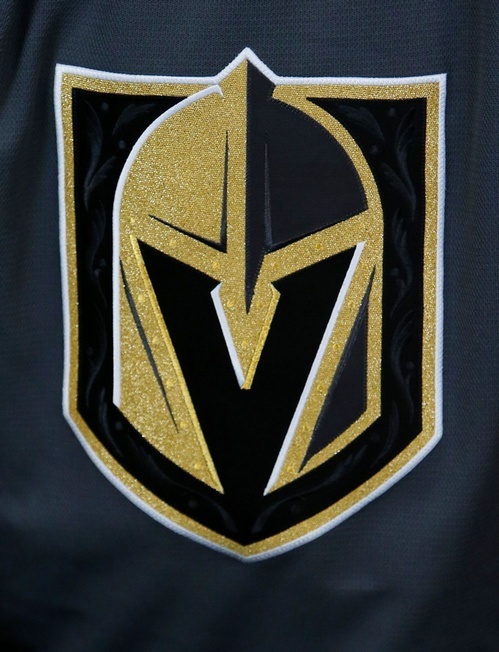 The Vegas Golden Knights have revealed their roster piece by piece at the NHL Awards, with a jumble of trades and exchanges making things interesting for this unprecedented event. Vegas general manager George McPhee has been busy working the phones and has been in a unique position of power over the last while. It will take some time to unpack everything he’s been up to, to say the least. Naturally, things can change an awful lot between now and opening day for the Golden Knights. There will be deals and Vegas could flip certain players to get that final mix, especially as some players have contracts to work through. We’ll be tracking the progress throughout the summer. Teemu Pulkkinen (Arizona Coyotes): the 25-year-old Finnish forward had two goals in 13 games in 2016-2017 and has just 83 games of NHL experience under his belt, with 13 career goals for the Coyotes, Minnesota Wild and Detroit Red Wings. William Carrier (Buffalo Sabres): the 22-year-old from Quebec had eight points in 41 games this season and can play a power forward role. Tomas Nosek (Detroit Red Wings): the 24-year-old has spent considerable time with the AHL’s Grand Rapids affiliate and had one goal in 17 games with the NHL club. Cody Eakin (Dallas Stars): the 26-year-old pivot had 12 points in 60 games this season, well below his average capabilities with the Stars. Jonathan Marchessault (Florida Panthers): the 26-year-old forward had 30 goals for this first time in his career this season and has tremendous playmaking capabilities up front. Connor Brickley (Carolina Hurricanes): the 25-year-old pending unrestricted free agent spent this season in the AHL with Charlotte, posting 26 points in 69 games. Chris Thorburn (Winnipeg Jets): the 34-year-old had three goals this season and bangs and crashes with the best of them. Pierre-Edouard Bellemare (Philadelphia Flyers): the 32-year-old forward has been a late bloomer at the NHL level, but he’s a hard worker and can kill penalties. James Neal (Nashville Predators): the 29-year-old had 23 goals this season and six post-season goals on his way to the Stanley Cup Final. Brendan Leipsic (Toronto Maple Leafs): the 23-year-old spent 2016-2017 with the Toronto Marlies, where he scored 51 points in 49 games. David Perron (St. Louis Blues): the 29-year-old has a year to go on his current NHL deal and had 18 goals this season for a total of 46 points. Oscar Lindberg (New York Rangers): the 25-year-old had 20 points in 65 games and spent most of his time as the fourth line centre. Erik Haula (Minnesota Wild): the 26-year-old centre scored a career-high 15 goals this season, posting a total of 26 points in 72 games with the Wild. William Karlsson (Columbus Blue Jackets): the 24-year-old had 19 assists and 25 points in 81 games this season. Luca Sbisa (Vancouver Canucks): the 27-year-old defenceman had 13 points in 82 games and has skated for 465 games with the Canucks, Anaheim Ducks and Philadelphia Flyers. Jon Merrill (New Jersey Devils): 25-year-old Merrill had six points in 51 games this season and has spent 216 career NHL games with the Devils. Brayden McNabb (Los Angeles Kings): the 26-year-old defenceman had four points in 2016-2017 and 50 points in 238 games for the Kings and Buffalo Sabres. Deryk Engelland (Calgary Flames): the 35-year-old veteran blueliner had four goals and 16 points in 81 games this season. Jason Garrison (Tampa Bay Lightning): the 32-year-old has a booming point shot and scored nine points in 70 games this season – his lowest total at the NHL level. Alexei Emelin (Montreal Canadiens): the 31-year-old has 72 points in 380 NHL games, all with the Habs. Griffin Reinhart (Edmonton Oilers): the 23-year-old defenceman spent this season in the AHL, but he was called up to the big boys in the second round of the post-season against Anaheim. David Schlemko (San Jose Sharks): the 30-year-old blueliner has the reach and puck-moving ability to make a difference, plus he can limit his mistakes. Marc Methot (Ottawa Senators): the 32-year-old has two years to go on his current contract and skated on Ottawa’s top pair with Erik Karlsson. Colin Miller (Boston Bruins): the 24-year-old had 13 points in 61 games this season and has a heavy shot that can make an impact on the power play. Nate Schmidt (Washington Capitals): the 25-year-old defenceman had 17 points in 60 games this season, with 43 points in 200 career games in Washington. Trevor van Riemsdyk (Chicago Blackhawks): the defenceman will turn 26 in July and posted an NHL career-high 16 points this season. Clayton Stoner (Anaheim Ducks): the 32-year-old is a stay-at-home defenceman with a year to go on his contract. Calvin Pickard (Colorado Avalanche): the 25-year-old goalie posted 15 wins this season, with a 2.98 goals against average and a .904 save percentage in 48 starts. Jean-Francois Berube (New York Islanders): the 25-year-old has just 21 games of NHL experience under his belt, with a 3.11 goals against average and .900 save percentage. Marc-Andre Fleury (Pittsburgh Penguins): Fleury is the obvious face of the franchise for the Golden Knights and that’s a good thing, as he’s quality goalie capable of stealing some games.